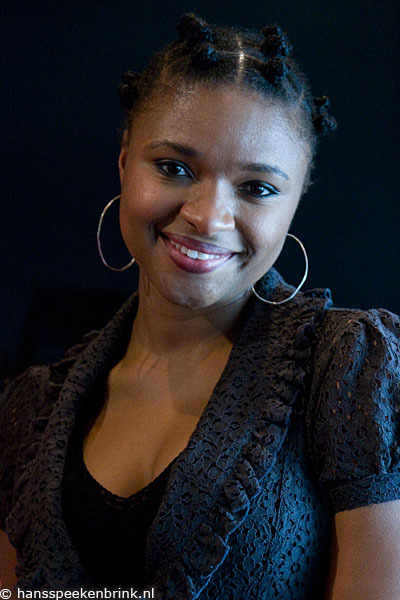 If I had to choose a single word to describe the mystique of the singer Lizz Wright, it would be steadfast. Ms. Wright, who headlined a double bill with the equally talented singer-songwriter Raul Midon at the concert hall of the New York Society for Ethical Culture on Thursday evening, is a minister's daughter from a small town in rural Georgia. Her recent album, The Orchard (Verve), is a self-conscious return-to-roots record, although Ms. Wright has never ventured far from those roots. 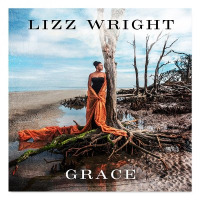 In her last record, Dreaming Wide Awake, Ms. Wright's voice brought a concentrated, churchlike gravity to the folk-jazz musical settings of the material from here, there and everywhere. From its title to its gatefold portrait of Ms. Wright, regally costumed, standing by a cypress tree in the middle of a swamp, The Orchard is a celebration of the South, fecundity and connection with nature. It expresses a proud and profoundly reassuring sense of knowing where you come from. For this JVC Jazz Festival concert Ms. Wright was accompanied by a five-member band that included Toshi Reagon (on rhythm guitar and backup vocals) with whom she collaborated on 6 of the 12 songs from The Orchard."